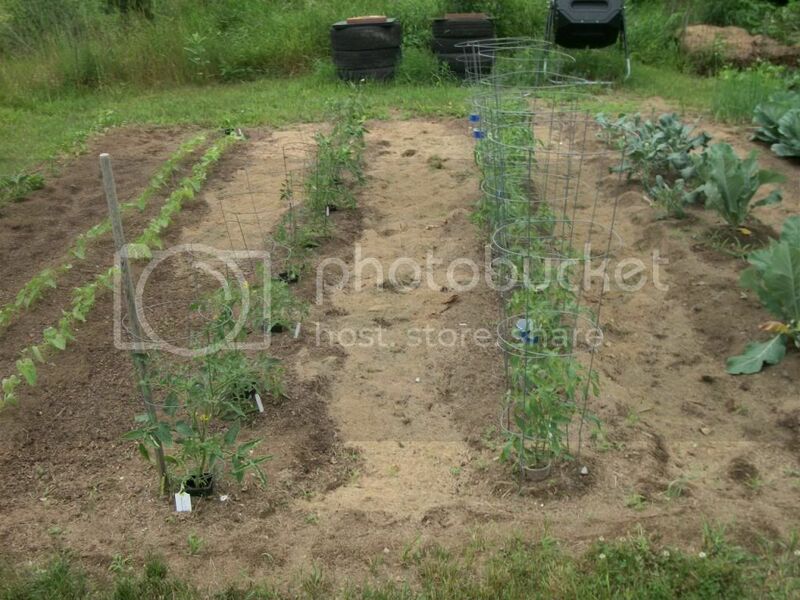 A few pictures of the garden for 2013, we've had A LOT of rain so far this year here in upstate NY. Enjoy the pictures. 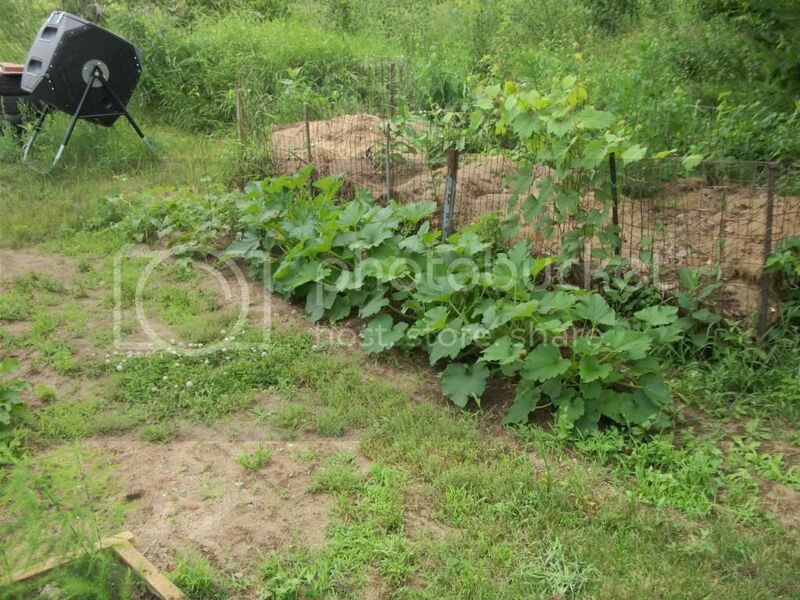 This is the zukes and cukes, is that a grape vine I have growing on the compost pile fencing?? 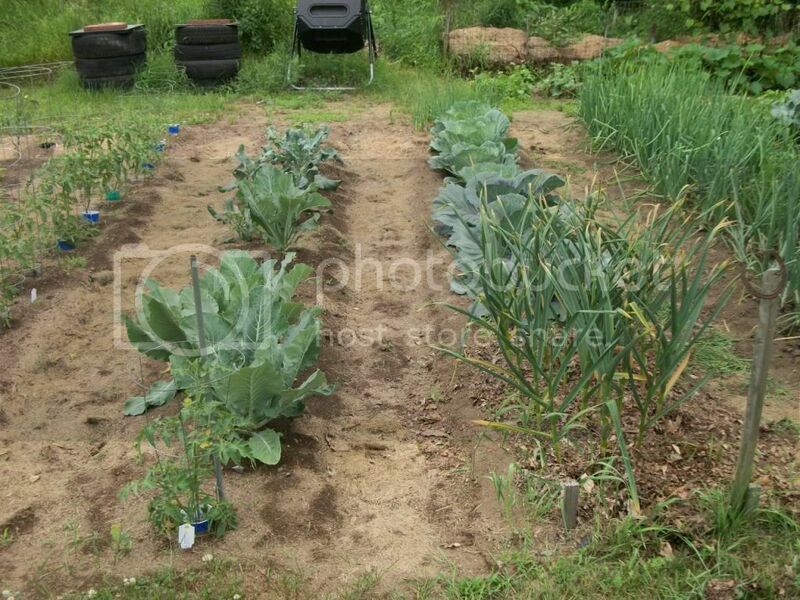 Garlic,cabbage and cauliflower/broccoli, they're both just about done for the season need to plant something else. 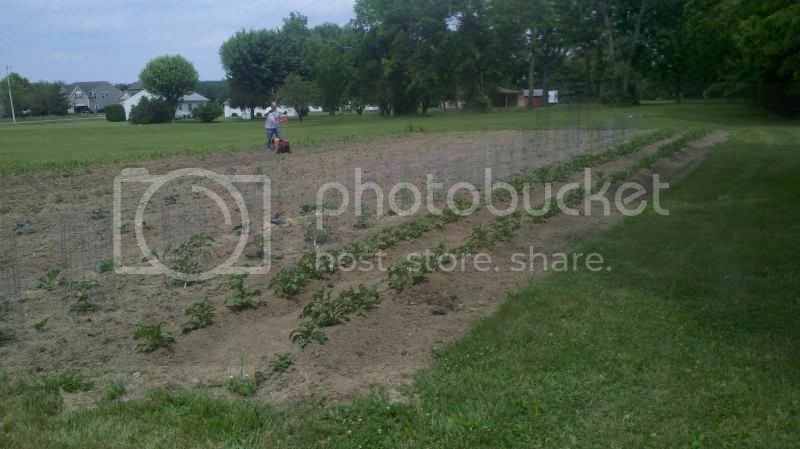 tomatoes and bean s, the maters seem slow, maybe the rain and cool temps, beans grew in a week. Peppers seem stunted too, but flowering. 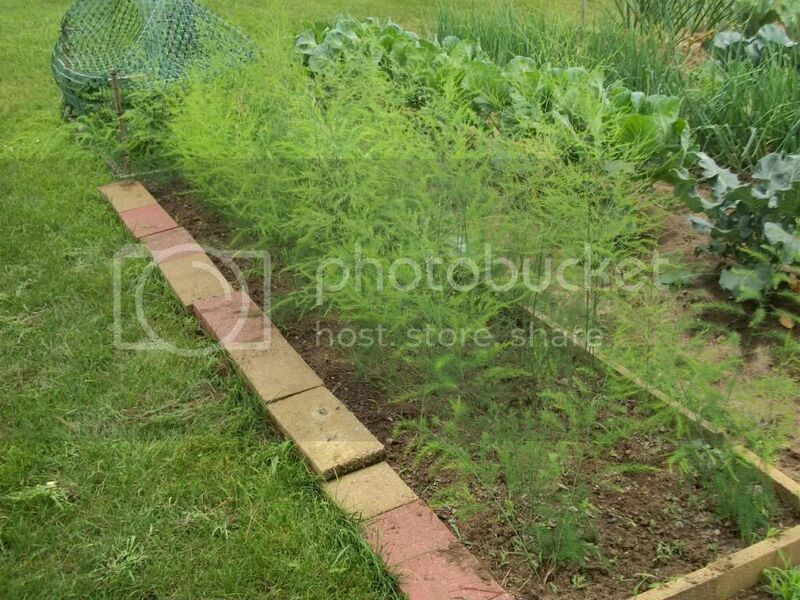 Re: Pictures of my 2013 garden.. This was taken a few weeks back things have come a long way since then! I'm in southern Maine, and while my tomatoes are going gangbusters, my peppers seem to be growing the same way as yours. I think just too much rain and not enough warm sunny days. Pepper plants are about 6 to 8 inches tall, flowered, and setting fruit......not sure how this is gonna turn out. Garden looks good though. How big is it? 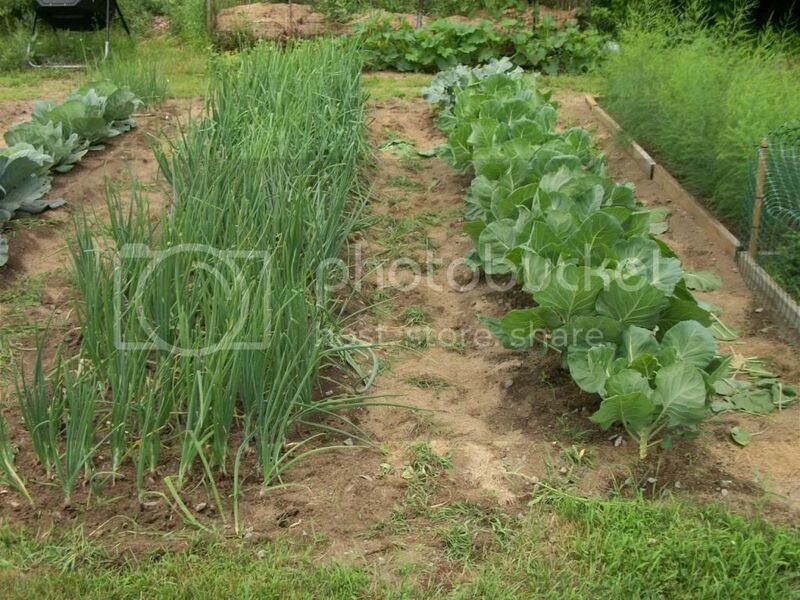 With the heat here I can't wait to get out in the garden today and see what has been growing !! I know a trick to make peppers grow fast. 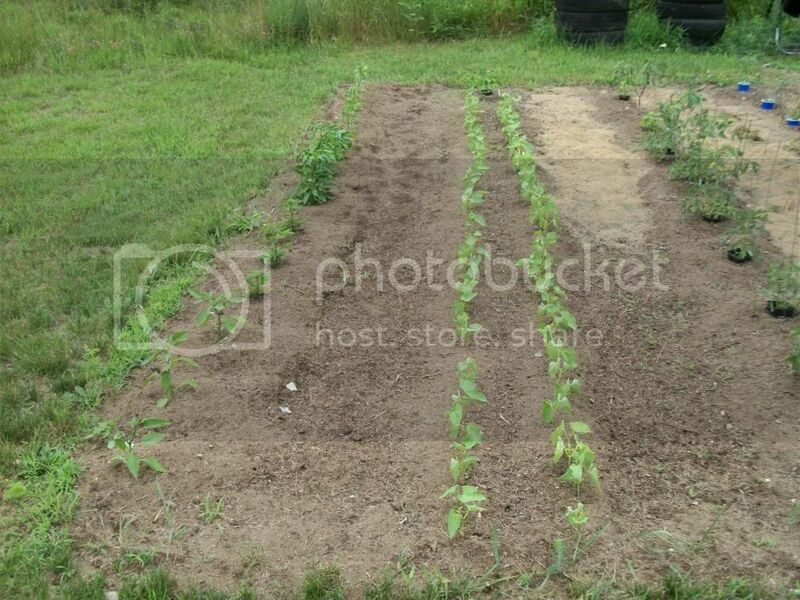 Dump about 6" of peat moss on the surface of your pepper plant row then till it in, then plant your peppers plants. This makes it easy for the roots to grow fast and pepper plants grow several times faster. When I use peat moss my pepper plants are 7 feet tall and the sweet bell peppers are 5" diameter. When I don't use peat moss plants are extremely slow to grow and peppers are small. You can plant new pepper plants in peat moss and they will out grow the plants you have now.